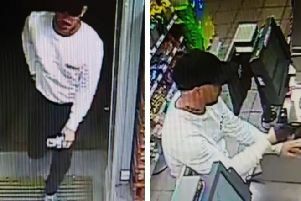 Police would like to speak to a man with Eastbourne links in connection with the theft of a quantity of cash from a launderette. The incident occurred at Super Clean Launderette in Whitehill Road, Crowborough, at about 4.20pm on Sunday August 13. Nicholas Leon, 33, is described as white, 5ft 9ins, of slim build, with dark brown hair and hazel eyes, and is known to have links to the Eastbourne, Lewes and Wealden areas, as well as Surrey. Anyone who knows of his whereabouts – or Mr Leon himself – is asked to report it online at www.sussex.police.uk/contact-us/response-to-appeal/ quoting serial 197 of 14/08.